Spring 2016 "Blooming special Menu" ☆.。. :*・゜　: Happy Aging & Beautiful Anti Aging loving. 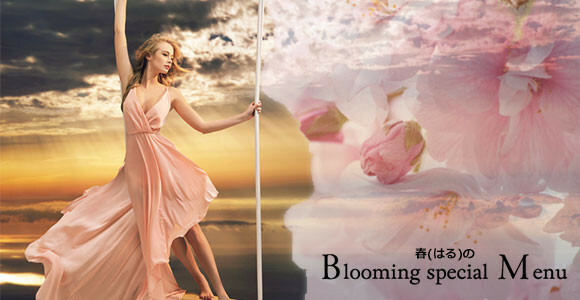 "Blooming special Menu " , Recommended Esthetic of Spring feature began! We also , as before the cherry blossoms bloom , from the season that are not noticed by anyone , requires a period of be beautiful preparation. You could to choose a high-quality esthetic(spa) treatment on Eturaku(pleasure). Copyright(C)2006-2016 Shinsendo,Inc. All Rights Reserved.